Pakistan spends huge amount of its GDP on defense, and therefore it has one of the best armies in the world. It will take next five to ten years to get the biggest nuclear stockpile , behind only the United States and Russia, the Washington Post reported, quoting reports published by two American think tanks. The report published on Thursday by the Carnegie Endowment for International Peace and the Stimson Center said that Pakistan, out of its fear of India, was far outpacing its rival neighbor in the development of nuclear warheads and may be building 20 nuclear warheads annually. 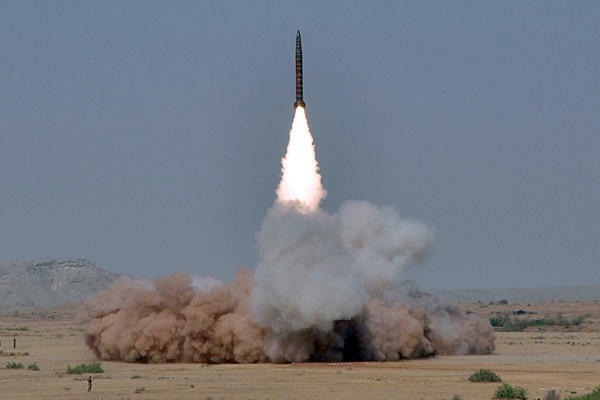 The report cites analysts as saying that Pakistan possesses around 120 nuclear warheads as compared to India’s 100. The report concluded by saying that Pakistan could have at least 350 nuclear weapons within five to 10 years. Pakistan’s lead over India could significantly grow due to its large stockpile of highly-enriched uranium that could be used to quickly produce low-yield nuclear devices. The report further said that though India, in comparison to Pakistan, has far larger stockpiles of plutonium, which is needed to produce high-yield warheads, India appears to be using most of its plutonium to produce domestic energy. “The growth path of Pakistan’s nuclear arsenal, enabled by existing infrastructure, goes well beyond the assurances of credible minimal deterrence provided by Pakistani officials and analysts after testing nuclear devices,” the report states. Seems we are going to have our own nuclear weapon army in near future but peace is above all. The basic necessity of time is to maintain peace even with our neighbor/enemy India.